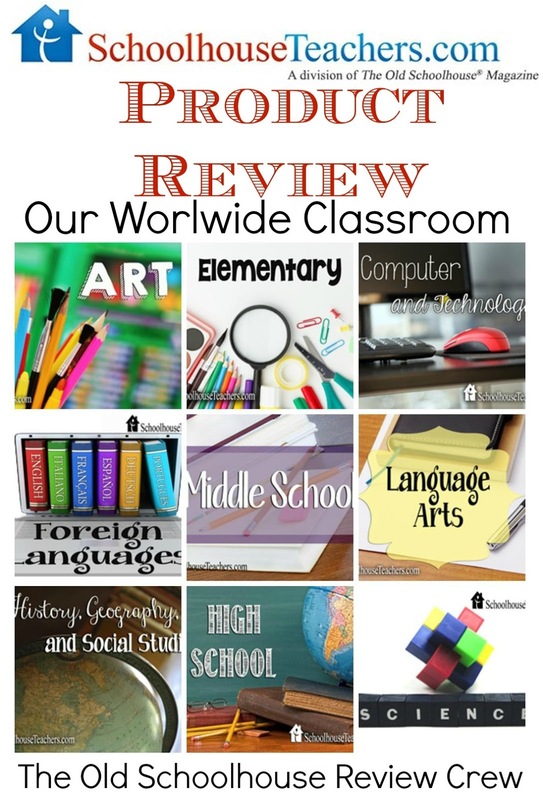 Over the past few weeks I have had the pleasure of using the comprehensive Schoolhouse Teachers.com website with my children for the purpose of reviewing what's on offer within the site. We have been provided with a Yearly Membership. This is my first review as a member of The Old Schoolhouse Review Crew. If you are looking for a one stop shop for your home school then Schoolhouse Teachers surely has to come to very close to that. This site offers Yearly Memberships where you can access all manner of subject materials covering all grade levels. 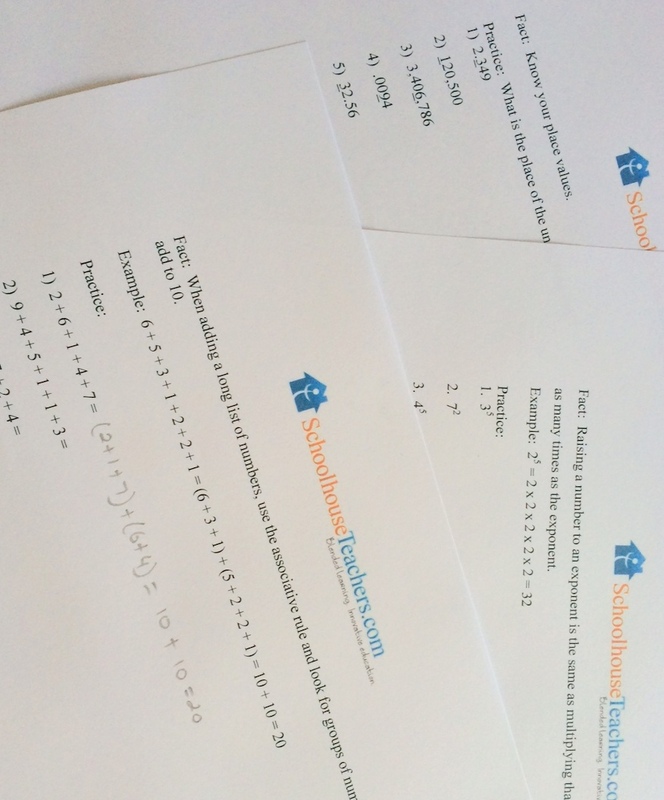 The site offers online classes, printable units, worksheets, lessons and video components. It even offers homeschool parent support and homeschool planners! My first impressions of the site were that of WOW! How did I not know that this existed up until now. I knew very early on in my exploration of the site that I would find plenty of variety for all 3 of my children. The first tab I chose to explore was none other than the Courses area. This is broken into courses by subject and courses by year level so no matter how you prefer to search for things it is all laid out in an easy to use fashion. Once you find yourself inside a grade level area, which are broken into kindergarten, elementary, middle school and high school. You can then filter down into each subject area. There are several options in the subject areas also. Just to give you a quick glimpse the image below shows the Language Arts courses on offer in the Elementary area of the site. 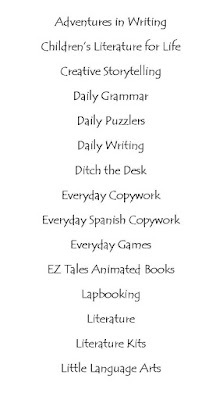 I have on my list of must find items for the kids - Quick Daily Practice Work - and there you have it right within the Schoolhouse Teachers site. There are literally hundreds of options across the subject areas and this is one section of the site that we have been using this past few weeks. Each morning as part of our Morning Basket routine the kids have one daily math sheet and one daily language arts sheet to complete. We do these for extra practice, to build speed and automaticity. All I need to do is work my way through the lists and print the next sheet available in the grade area required. No searching the internet or having to come up with my own they are all provided for me. 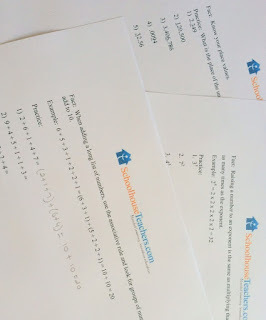 A little peek at just a few of the Daily Math sheets we've worked on. 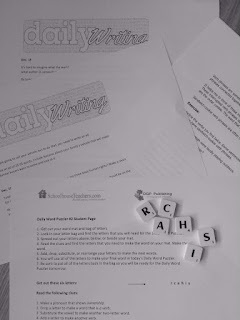 I love how much Language Arts we've covered, journal prompts, grammar and fun puzzler activities. My eldest and I have sat down together on a few occasions now to look over the course offerings in the High School Homeschool Courses area. He is already looking at undertaking the Drawing With Realism course and the Entrepreneurship For Teens course. I love that we have access to this for him to be able to choose his own electives. For my younger two we really enjoy working through Literature Units with great books and so we were pleasantly surprised to see an extensive list of literature units available to us. 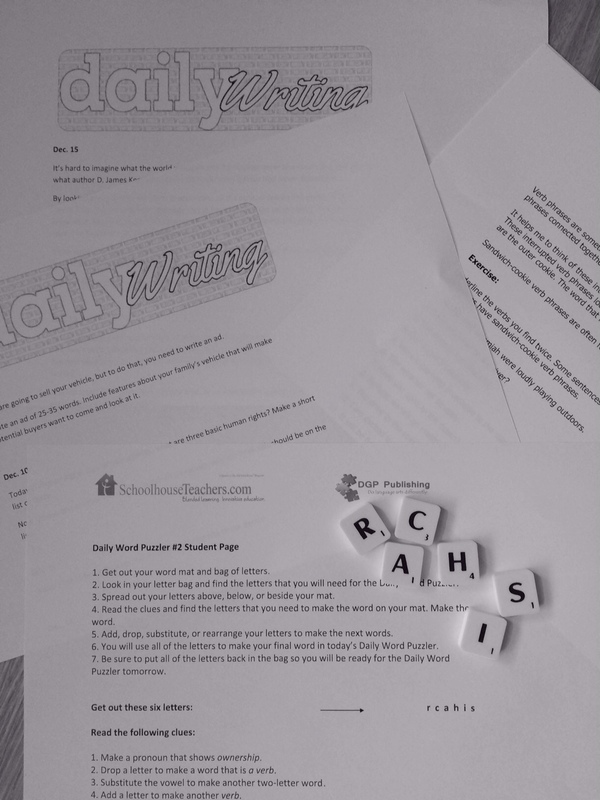 Whilst Schoolhouse Teachers contains an extensive offering of curriculum products it also offers parent members an array of items, such as various educational components, encouraging articles, back issues of the fabulous Old Schoolhouse Magazine, monthly bonus e-books, record keeping options, meal planning and homemaking assistance. 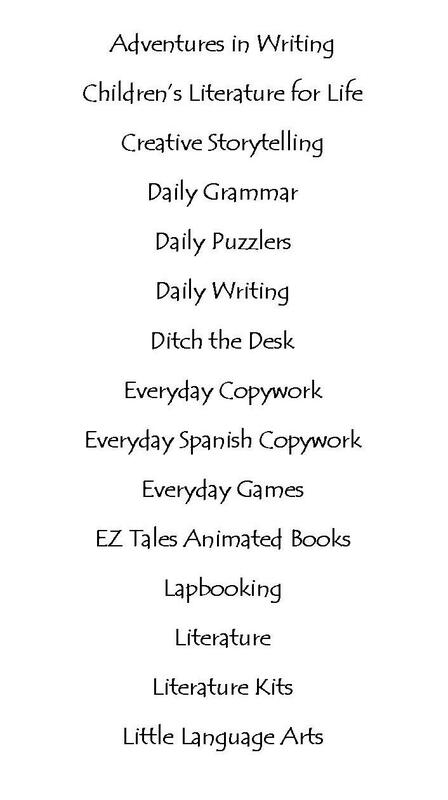 Although the most exciting part of the Parent Resources Area would have to be the full access to all six digital Schoolhouse Planners. This alone is a value of $125 and they are great planners too. Visit the Schoolhouse Teachers website for more details. You can choose between a monthly subscription of $12.95 or $139 for the full year, for your entire family. There is extensive information about the site on the Welcome area which you can find here. I hope you have found this review helpful. If you would like to see further reviews of Schoolhouse Teachers by members from the Crew, please click on the this link. 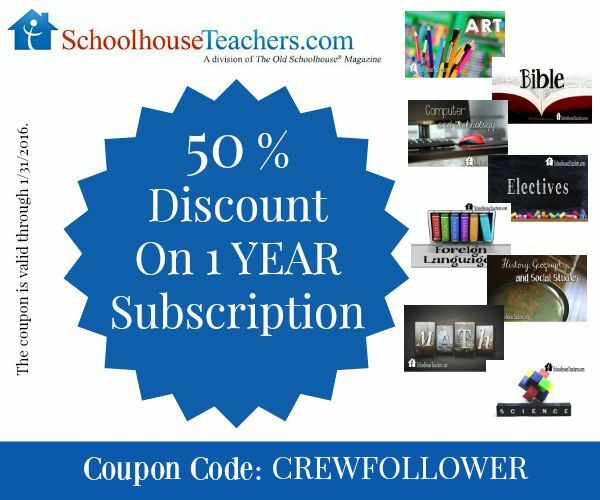 Schoolhouse Teachers is currently offering 50% off an annual subscription.